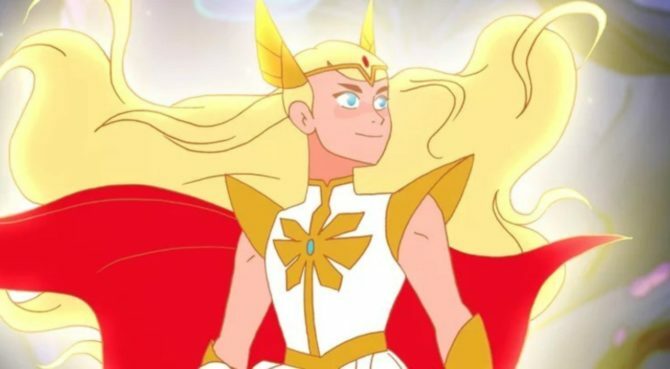 Stunning news out of the New York Comic-Con: the much-anticipated Netflix reboot of She-Ra will feature out-gay characters. The news came during a panel on the new show, wherein reboot creator Noelle Stevenson and cast members Aimee Carrero, Karen Fukuhara & Marcus Scribner answered audience questions about the series. During the discussion, Carrero happened to mention the character Bow’s “two dads” in passing. Fukuhara, who provides the voice of Glimmer, also hinted that Bow’s dads will play a pivotal role in the first season. 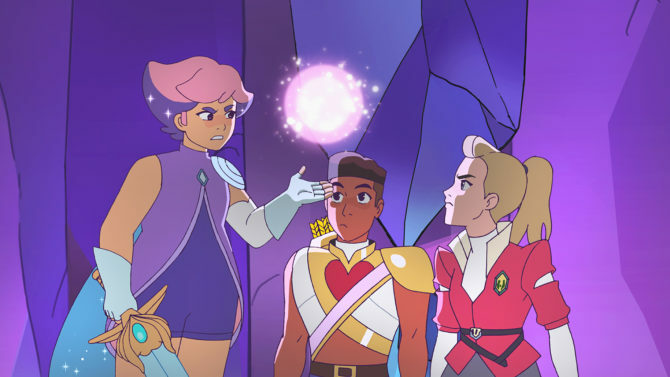 The news should come as a welcome development for fans of She-Ra who have long recognized the title character as something of a gay icon. The original series debuted in the 80s as spin-off of the popular He-Man and the Masters of the Universe. He-Man also maintains a large gay following, in part thanks to a roster of scantily-clad, muscled male characters. In the original story, an evil army kidnaps Princess Adora of Eternia and hides her on a distant planet. When her twin brother Prince Adam discovers a magical sword and becomes his alter-ego He-Man, he must journey across the universe to find Adora and help her realize her destiny as She-Ra. The new series will follow the original story, though Netflix has not yet announced when or if He-Man will actually appear. The show will debut on Netflix on November 16. I’m patiently waiting for this. It looks great. Any new queer post would make NETFLIX “even gayer.” NETFLIX with few exceptions, runs the same flicks every year. Does Reddish really believe that an animated action figure series is a “stunning” addition to NETFLIX’s current under-represented LGBTI programing? Perhaps fun for fantasy, make-believe, but for some of us, not so much. But for others of us, very much. It’s not all about you, Becky. Here in Brazil, Netflix is a mere shadow of the original US netflix. I lived in the US for 5 years and I miss the days when I could watch really good stuff on my TV. She-ra was my childhood hero. I couldn’t wait for this reboot. However, after seeing the trailer, I was disappointed with the character’s voice. Her very high-pitch voice is annoying and makes her sound like a dumb blonde. it’s a cartoon for F sake! Netflix has something for everyone regardless of sexuality.